I grew up in Europe as an Army Brat until enrolling in College at Iowa State University. After college I moved to Louisville in 1993 where I then got married and had two children Sean 19, and Lauren 17. Of all the cities in the world, I chose Louisville due to its friendly disposition and charm. I love this city and happily made it my home. Because I know all the ins and outs of moving to this city, I am truly expert in helping our clients that are relocating and can ensure that the relocation process is seamless. I have worked in Real Estate helping families find a perfect home since 2007. Prior to working in Real Estate I was a Social Worker working for the Severe Profound Mentally and Physically Disabled. I use my skills such as dedication and devotion the needs of the individual as social worker to help my clients. I am truly passionate in putting their needs first and will do whatever I can to ensure that helping them buy their home is a wonderful experience. As a result, I have helped over 400 clients find a great home over the last 5 years. It is my dedication and excellence customer care and service that has led to a successful career as a real estate agent. I have received several awards including a platinum award for her team sales for over 18 million sales in 2010. I have also received an agent mountain award in 2010 for a 215% in production increase in a down market. In 2015 I have already been top agent of our company two separate months. I love supporting my children in football and soccer. I love spending time with my friends and family and also I humbly admit that I am a sharp poker player in my free time. I am currently working for Keller Willems Realty as a team leader of 5 members. My team will help you with any of your Real Estate needs, regarding if it is to help you sell your home in Louisville or to purchase a home in Louisville. You will not find a more truly committed agent than me! Anita Perez was born and raised in Poland. She attended college in Poland and received her bachelor’s degree in in social study and master’s degree in school counseling. Fourteen years ago Anita moved to the United States. Anita is the mother of two beautiful girls, Olivia who is 12 and Veronica is 7. Anita has been actively involved in helping her children in gymnastics and music. Prior to working in real estate, Anita was a preschool teacher for thirteen years. She works part time as a child care coordinator for her community church. She has taken her desire to help people and brought it with her as she begins her new career in Real Estate. 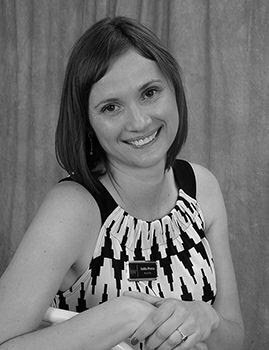 In 2015 Anita joined the Jodie Wild Real Estate team as her lead buyer’s agent. Since joining she has already sold over 15 houses. Anita was Keller Williams's buyer's agent of the month in both May and August. 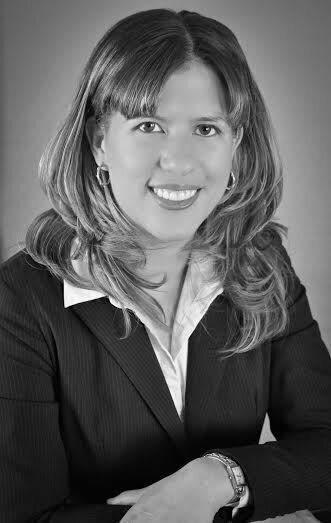 Anita epitomizes energy, hard work and creative service in every detail of the real estate transaction. She is passionate about helping her clients and team members achieve their real estate goals. In her free time, Anita enjoys outdoor activities, traveling, and spending time with her family. 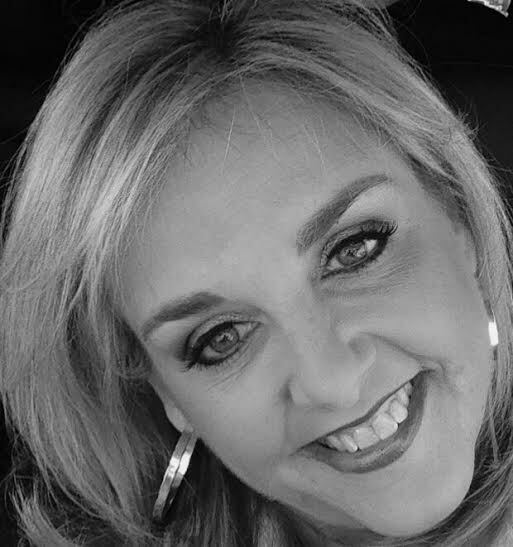 In 2015 Anita won Buyer's Agent of the month for the month of May. 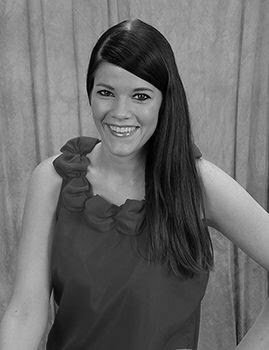 Emily Wimpsett has worked with the Jodie Wild Team for three years as the Office Manager/Social Media Strategist. She is a recent graduate from Indiana University Southeast with a bachelor’s degree in Communications with a track in Advertising. Emily has been an integral part in building the foundation of the Jodie Wild Real Estate Team. During Emily’s tenure on this team she has created and maintained this team in all areas of social media such as Facebook, Twitter, LinkedIn and Pinterest. She has brought this team's internet presence to new levels. Emily has been the cog of this wheel by helping in important areas such as contract to close to creating flyers and brochures. Her constant input, hard work and positive presence has been key to our team's success. During her free time, Emily enjoys cooking recipes she finds on Pinterest, kayaking, and spending time with her dog Layla and boyfriend Evan. Emily is also a diehard University of Kentucky fan and enjoys attending football and basketball games with her family. Go CATS!!! Allison Chesser is a professional Home Loan Consultant with a focus on providing the highest level of service to her clients. Raised in Louisville, KY, she developed a passion for real estate, which led her to help and guide others seeking home financing. It is her goal to make sure each and every individual has a stress-free, enjoyable experience. She accomplishes this by educating and guiding the client through each step in the process, and being 100% available to them any time they may have any questions. Allison believes everyone has their own short and long-term financial objectives, and she seeks to make sure that her personal service enables them to reach those goals. It is this personalized approach, along with her extensive knowledge of residential lending programs that has fostered a business built off of referrals from happy customers and business partners. 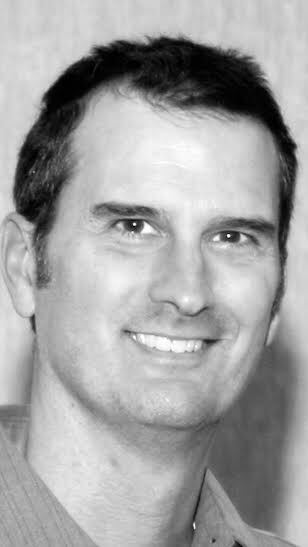 Ben is a reliable mortgage and credit expert at Statewide Mortgage with thirteen years experience. He is dedicated to providing excellent customer service, returning phone calls promptly and making myself available to talk after hours or on weekends if needed. He is married with two college age daughters. At Statewide Mortgage we offer Conventional, FHA, VA and Rural Housing loans. Jodie has gone above and beyond in selling our home and doing everything she can to help us find our dream home. She sold our house in 3 days above our asking price! I could not be happier, and will never use another realtor. Jodie is one of the most responsive and helpful real estate agents I have ever been involved in. She not only goes the extra mile, but another 10 extra miles! She listens to your needs and is a superb negotiator. Some of the deals she has come up with for her clients are truly amazing. I have known Jodie for about 5 years. She is truly extraordinary! I have used Jodie Wild for several property purchases, and I cannot say enough about how she helped. She got the properties I wanted and at super prices. She's loves to negotiate. I cannot recommend her enough. I plan to buy more investment properties in the next year, and I won't consider anyone but Jodie Wild. Jodie is an outstanding realtor! I would highly recommend her to anyone who is looking for real estate! It was a joy working with Jodie. She made moving from another state a wonderful experience! Jodie sent me listings that met my criteria in my desired area. She was always super prompt in showing me new houses and returning phone calls. Ultimately, she aided me in the negotiation and purchase of my new home. I would totally recommend Jodie Wild to anyone who is looking to buy a new property!!! Jodie Wild has represented me as a buyer for approximately 15 bids on properties, only one of which was unsuccessful in that I refused to take Jodie's expert advice and I insisted on putting in too low a bid. I did not purchase all those properties. After due diligence and professional home inspections, I wished to withdraw from several properties that were worse than advertised, and Jodie's expertise came to the fore in quickly extricating me from the contracts and returning my deposits. Jodie has saved me a great deal of money with her acumen about what price has a change of being accepted, and also in her unusual skill and willingness to work with foreclosure sales which pay little in commissions and involve enormous amounts of paperwork and follow up. I have worked with Jodie since 2010 through 2013 and would call her in a heartbeat if I wanted another property, or wanted to sell a property. Jodie Wild was awesome. She had to show us over 40 houses before My husband and I could agree. we were not easy to deal with. We were very picky. I would call her with a list and we were looking at them all within two days. The whole List !!!!. She helped with getting our loan approved. She did it all for us we just had to go look. After we found our perfect house she went the extra mile and helped me pick out all the colors in my home for us to paint. OMG my house looks amazing. Jodie is a must have. My husband and I had nothing short of a fantastic experience with Jodie. This was our first time to purchase a home and I was so nervous about it. Jodie met with myself and my husband, handed us a notebook of information, and completely calmed my nerves down. She was professional, such a hard worker, and was so pleasant to see each time we looked at a house. I have already recommended Jodie to two other couples who are looking for homes and will continue to do so. In my honest opinion you cannot do better than Jodie Wild!! She is the very best! We had been in the area a year and picked Jodie out of the phone book. It turned out that we picked right that day. We did several days worth of viewing houses and finally we found the "one". We went on Jodie's recommendations and her pick of inspectors and it worked very well. The buyer didn't know he had hail damage as he was out of state. Immediately Jodie went to work getting us a new roof and sweetened the deal with a few extra fixes. We absolutely love it here and we think for the price, we got an excellent deal and everything is solid. Jodie stays right on it and follows through. It was a very painless experience and went very well. Jodie is a tireless professional. Her access and responsivenss are outstanding as is her expertise in the business. She not only did a superior job on my behalf, her references for financing, inspection and other steps along the way were equally solid. I would highly recommend Jodie to my dearest friends and closest relatives.!! Jodie has been a wonderful help in the process of my husband and I trying to get our home ready to sell. When I mentioned to her that I was concerned about selling our condo in the future she offered up her time to come take a look at our place and stage our home for what improvements we should or should not make based on her expertise and experience. I was so impressed with her enthusiasm to help us long before we even planned on listing our home. She is such an honest and genuine person that sincerely loves what she does! I couldn't imagine asking any other person to help us sell our home!! Jodie was just wonderful to work with. She made the process so easy. People always tell me its stressful buying a home but the process did not seems so bad with Jodie's helpful guidance. She always got back to us quickly, answered andquestions and cleared up confusions. She gave us information about the market and the area that prevented us from making false assumptions. This was our first home purchase and there was a lot we didn't know and we were grateful for Jodie. Working with Jodie was extremely easy. She helped me find houses in the range I was looking for, answered a million questions and was friendly throughout the entire process. Jodie stayed with me through the closing and helped ease my mind when I was frustrated. 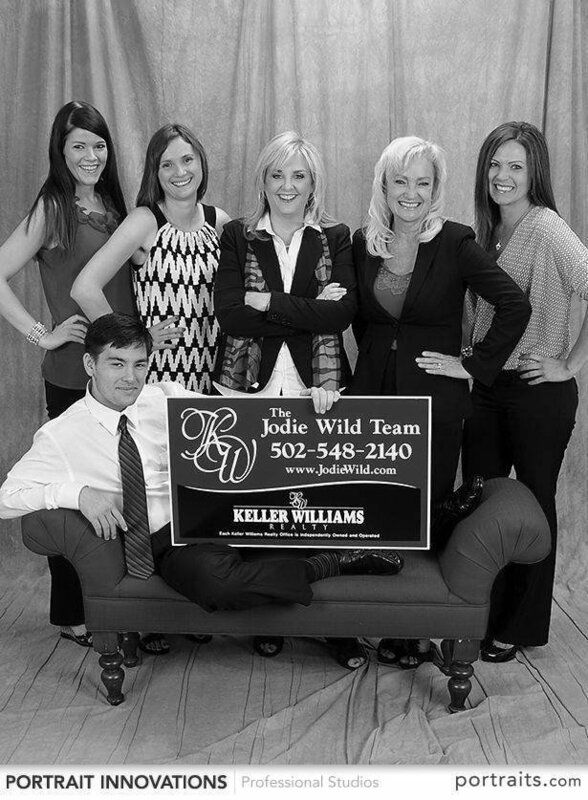 If you need a super woman realtor, Jodie Wild is who you need to see! I contacted Jodie to help me find a home. After actively searching, Jodie helped us find the perfect one. She was very helpful during our search and consistently followed up with us to find our home. Searching for the right home is is an arduous process, Jodie made us feel comfortable with the whole process. Would definitely recommend. It was wonderful working with Anita! As a first-time home buyer I was a little worried about the process, but she made everything so easy. I felt like she got a very good idea of what we were looking for right off the bat, which made things go a lot quicker. I felt like she was truly looking out for us to make sure we got the best deal. I had to do very little throughout the entire process because she was so efficient and recommended equally great and efficient people to work with throughout the home buying process. She went above and beyond to make sure we got the house we loved, and we did! I will absolutely use Anita Perez and the Jodie Wild team again, and I highly recommend her to everyone! It was a wonderful experience.